The melodica is a free-reed instrument like the harmonica and pump organ. Other names for it include the blow organ, key harmonica, melodyhorn, and pianica. There is a wide range of melodicas, which makes choosing one a challenge. If you need help finding the best melodica for you and your budget, keep reading. It is important it is to find the best melodica possible for yourself or your students. Playing a sub-par instrument is frustrating, even for skilled musicians. You should have high-quality instruments to play whenever you need them. 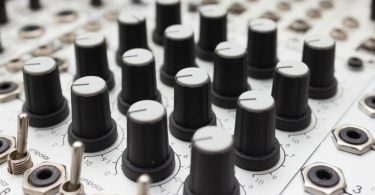 This list contains the highest quality melodicas to make it easier for you to find one. There are high-quality melodicas in each price range, too. Each is an instrument with great sound, even those for beginning students. It took several hours of internet research and comparing products from the top retailers to complete this list. Local experts from three different music stores also provided insight for these reviews. 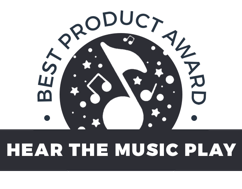 Testing the best that each store had helped find the best melodicas on the market. There are options for each price range to help you find a quality instrument you can afford. With high-quality sound within most budgets, this melodica is well-suited for beginners as well as serious musicians seeking a performance instrument. Melodicas come in several different varieties and suit several needs. Consider all aspects of the melodica before you choose one. Melodicas vary in the number of octaves, ranges and materials, too. Thesee are only minor variances, but you may have a distinct preference. They also differ in how much breath you need and how well they stay in tune. Melodicas are available in two or three octaves. Many beginner versions will only have two or two and a half octaves. The best melodica for advanced players has three octaves. If you are looking for a beginner instrument that’s simple to play and for melodic lines, two octaves are enough. For those seeking an advanced instrument, look for one with three octaves. Three octaves will allow you to play a wider variety of chords throughout the instrument’s range. Soprano – Has the highest range and are among the most commonly used melodica type. You play them with both hands. One hand plays the white keys and the other plays the black keys. Many come with an extension tube that lets you lay the instrument flat and play with both hands. Alto – Slightly lower in range but are nearly as common as soprano melodicas. You can play with both hands or with one hand like a tenor melodica. Tenor – Provides a lower range that offers a deeper sound. You play with one hand and hold a handle with the other. Many models allow the player to rest the melodica on a flat surface and play the keys with both hands. Bass – Lower in range and far less common that soprano, alto, and tenor melodicas. Most melodicas consist of plastic, but some say the best melodica consists of wood. There are many high-quality plastic options available. But some musicians prefer the deeper tone of wood. High-quality instruments of each material are available, but plastic is more common. Remember, you don’t need to pay extra for a wooden melodica to get a high-quality instrument. What is the Best Way to Use a Melodica? The best melodica you choose will depend on how you want to use your instrument. Whether you want one instrument or several for a class, your intended use should lead your purchasing decision. For Beginner Musicians – A simple, two-octave melodica is the best starting choice for beginners. It allows you to learn the mechanics of the instrument without spending excessive money on an advanced model. For Advanced Use – A higher-quality, three-octave instrument is best for advanced musicians. Instruments with finer construction tend to have a higher price tag. However, the resonant sound is worth the expense if you plan to use the instrument for years. For Group Settings – If you plan to use melodicas with a group, get one in each voice range. Having an alto, soprano, tenor and bass melodica allows you to play a wider range of music as a group. When shopping for soprano or alto melodicas for a group, choose a softer tone. This will help control the noise when your group plays all their instruments together. For Solo Playing – If you plan to use your melodica as a solo instrument, the tone quality is your deciding factor. Choose a melodica with a clear, resonant tone to play melodic lines and accompanying chords. Melodicas are a great beginner instrument for children and adults who have never played an instrument before. They combine the aspects of wind and keyboard instruments to provide a well-rounded education. 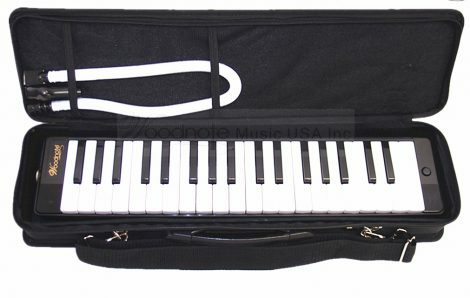 Before learning the melodica, you should have some background experience in piano. 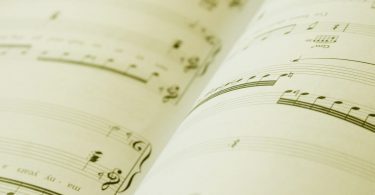 It will help you feel comfortable with reading music. You’ll be more comfortable playing notes with your right hand before you add the breathing component, too. While not required, piano experience will make your transition to playing the melodica easier. How Much Should I Spend on a Melodica? 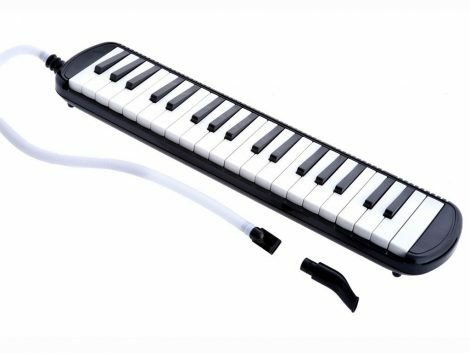 Student Range Up to $75 – These inexpensive plastic options allow children or beginners to learn the logistics of the melodica. But they may have a hollower sound and less sturdy construction. Although, you can find quality instruments in this price range, beware of inexpensive models that won’t last. Intermediate Range Between $75 and $125 – These instruments are of a higher quality than those in the student price range. Expect quality construction and materials for any instrument in this range. 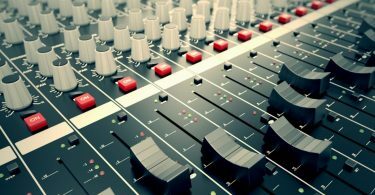 Professional Range From $125 and Above – Any instrument that costs over $125 should be of high quality and create a beautiful tone. Expect a resonant tone and high craftsmanship, as well. Wooden models fall into this price range, offering a high-quality sound. 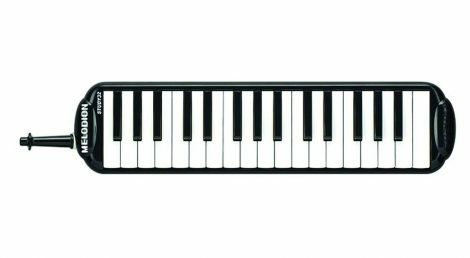 The Yamaha P37D 37-Key melodica comes from a trustworthy company. They have a long track record for creating high-quality, affordable instruments. This is the best melodica for beginners who want to learn a new instrument. But it is also for serious musicians seeking a performance instrument. The inner reeds are of an anti-corrosive material to prolong the life of the instrument and avoid costly repairs. These reeds are durable. They also provide stable tuning and intonation throughout the range of the melodica. It also includes a standard mouthpiece as well as an extension. This allows the player to rest the melodica on their lap or a table and play with both hands. You also can either play with one hand or both hands for variety. Additionally, it’s easy to switch between the two mouthpieces to decide which you like best. This model spans three full octaves, offering the versatility of melodies and chords. You can play wider melodies and more key signatures with three octaves than with a two-octave melodica. With this melodica, you don’t need a considerable amount of breath support to sustain notes. Some models require extra breath and effort to play two or more notes simultaneously. But this model allows you to breathe easily and play full chords without straining too much. This allows for easy musical production, no matter how many notes you play at once. In fact, customers report this melodica stays true to its claim of remaining in tune longer than most others. So this is the best melodica choice for frequent players, although you may need to do some infrequent tuning. Tuning is simple and only requires a few basic tools, though. And their customers agree that tuning only takes a few minutes. Tuning this melodica lasts a considerable length of time, though. The only flaws of this model are its construction and its tone response. And plastic construction can be flimsier than metal models. Although it is made of plastic, the material is durable enough to last several years of use. However, the tone response is slower than other models. The sound is resonant and pleasant. But it may take more time to sound each note than other melodicas. However, these are minor flaws that don’t limit its musical capabilities. The P37D is affordable for budding professionals while being attainable for beginning musicians, as well. For those trying to stay within a budget, the Hohner 32B Piano-Style melodica is from a company famous for high-quality instruments at affordable prices. If you’re looking for a melodica to get started or to learn the basics of the instrument, this has a clear sound and quality construction. And the keys don’t clack and their height is even across the instrument. This melodica covers two and a half octaves, too. The high quality, resonant sound and low price make it this a great choice for beginners who want to try the melodica. Although it collects some moisture on the inside, you can easily clean it by rinsing and drying it. It doesn’t have the same sound and construction as professional models, but it is by far the highest quality instrument for the price. 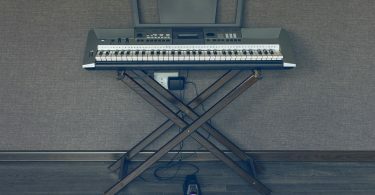 There are hundreds of melodicas, so it was difficult to recommend only two. Here are the best melodica choices in each price range with quality sound and durability. The Woodnote Beautiful Black is quality plastic melodica. It comes with a long-lasting fabric case and a free soprano recorder. This instrument plays easily and produces three full octaves with a clear, pure tone perfect for performances. And it is also the best melodica for those considering professional work. You can also use it as a high-quality student model to learn the instrument. However, the Woodnote lacks the quality of expensive models, but it’s a fine choice for its price range. Finally, the low price and high sound quality make this affordable for classroom sets, as well. 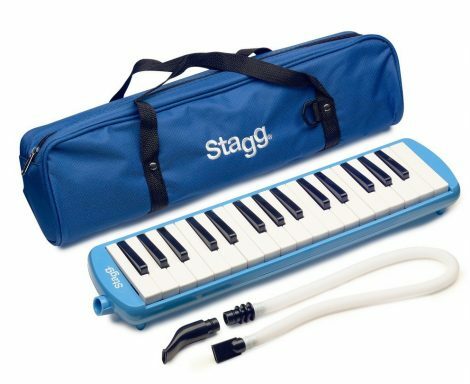 The Stagg-Melosta32 BL is the best melodica for those looking for a durable instrument with quality sound. In fact, some customers compare it to higher-priced Hohners, saying they sound the same. And the outer shell is durable, so the instrument can last a long time, even with younger children. Best yet, the keys span two and a half octaves. This model includes a tube that lets you play the melodica on a table with both hands, too. The D’Luca M37-BK is a nice beginner model due to its low price and tone quality. It comes with a free cloth case and extension tubes to allow flexibility while you play. This is one of the best melodica options because it doesn’t take much air to produce sound. It does require extra air for playing two or more notes simultaneously. 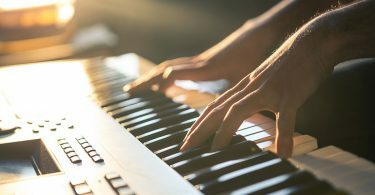 Extra air can make it more difficult for younger musicians to create sounds on chords. The M37-BK is an affordable starter instrument for those on a budget. Lastly, for a low-cost model, it has everything you need to start playing the melodica. The Suzuki STUDY-32 BLK Alto Melodion has a range of two and a half octaves. It is also lower in tone than the typical soprano melodica. And you can play it with one hand or two when you rest it on a flat surface. Also, the tone is clear and full. The pitches bend easily on this instrument, making it easy to control the tuning over time. Perfect tuning that doesn’t warp over time is one of the key features of this melodica. This melodica holds its tuning quite well. It is a great addition to a collection or a good starter instrument for those looking for an alto melodica. It is also available in blue. 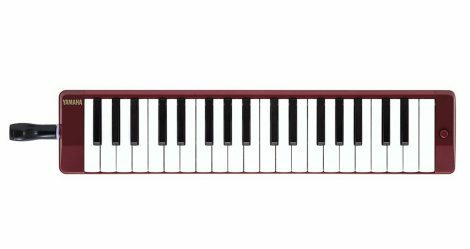 The Hohner Performer 37 Key melodica is the best melodica model for advanced students and amateur performers who need a bright, clear tone. The construction is sturdy and durable, too. And you can play this instrument in your hands, on your lap or on a table. The brass reed keys provide three full octaves. Also, it comes with a durable gig bag with an adjustable strap to carry the melodica safely. But some customers report the keys go out of tune faster than other models. Also, the design requires substantial breath support to create a clear tone. If possible, try this model in a store before purchasing. This is a good model for those starting out in performance work. The Suzuki M-37C melodica comes from a high-quality brand famous for their educational instruments. It features a metal body with a finish that looks like vinyl. And playing is easier with the comfortable handle. They also include a gig bag to safely transport the melodica. In addition, it includes two mouthpieces and two tube length options. So, you can play the instrument with one hand or rest it on a surface to play with two hands. And many customers claim this melodica delivers a great tone. 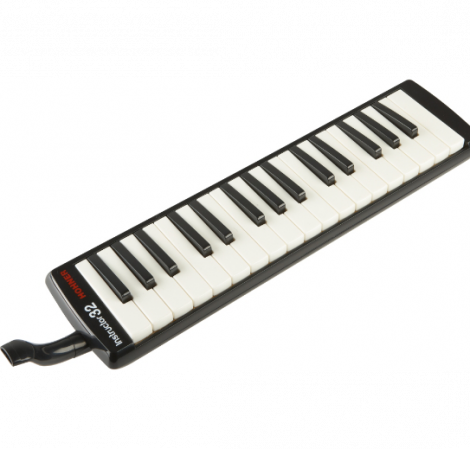 With a range of three full octaves and a consistently high-quality tone, this is one of the best melodica choices. The main issue with the M-37C melodica is the high price. Be sure to shop around as there are lower-priced models of similar quality available. 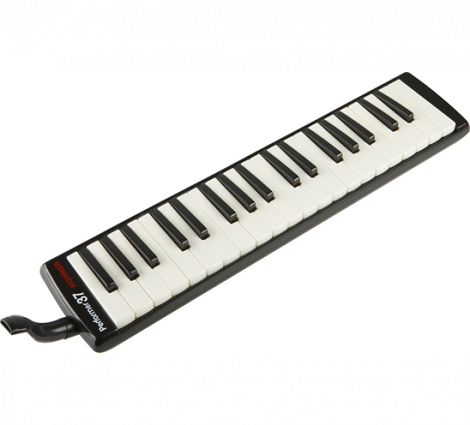 Hopefully, this list of the best melodica options will help you find the right one for you. Be sure to take your time and try them out in the store, if possible. Yes, you can find a quality instrument and still stick to your budget, too.